I love coffee sometimes but I am unfaithful. I like tea just as much. I like espresso when it’s too hot for a longer drink. I like tea when I’m in my pyjamas. I like tea in the morning when my stomach can’t take sharp coffee jolt. I like coffee mid-morning when I need help getting through the day. I like the smell of coffee. I like the memories coffee has given me over the years. I like that I meet people for coffee. I like social coffee. I like coffee alone. I like coffee outdoors. I like it on the go. I like standing at the bar in Italy for an espresso. I like it when people say expresso because I used to say that too. I like learning more about coffee culture and the different beans and roasts and temperatures. I like the culture of coffee houses in a historical and political context. I like that I just wrote that last sentence and meant it. I like that buying new coffee kit is like buying a new toy. I like coffee that’s kind to the environment and fair for the people who produced it. I like coffee flavoured desserts. I like coffee flavoured alcohol and cocktails. I like coffee chocolate. I like chocolate covered coffee beans. Here’s a pic of my trusty moka. 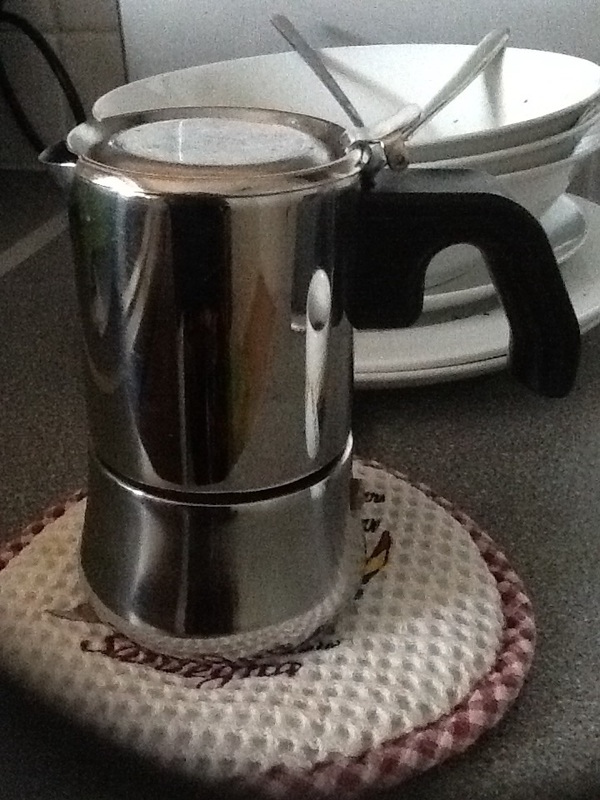 I use this to make strong coffee with ground beans, usually Lavazza Crema Gusto. Now that’s a proper start to Sunday morning – some freshly brewed coffee with a splash of hot milk.